The AAA TD said the “mass boycott” of the property tax is over. 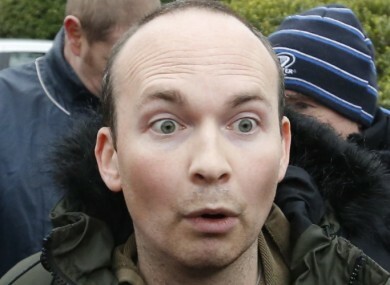 ANTI-AUSTERITY ALLIANCE TD Paul Murphy has confirmed that he has paid all the local property tax he owed after selling his house earlier this year. The Dublin South-West deputy was among those advocating a boycott of the tax, and the household charge which preceded it, in addition to the high-profile campaign of non-payment of water charges. However, the Sunday Times reported this morning that Murphy was forced to pay the local property tax against his will when he sold his apartment in south Dublin to move into his new constituency earlier this year. Murphy, who was elected to the Dáil in a by-election just over a year ago, sold his apartment in Ballinteer in south Dublin in May for €225,000 and moved to his new home in Kingswood, Tallaght. As part of the sale process he was forced to pay a total of €1,151 property tax. This included LPT arrears dating back to 2013 as well as €200 in the household charge which he had not paid. “I don’t think it’s a significant story,” Murphy told TheJournal.ie today. I think anybody who has sold property knows that you have to pay your local property tax. Most people have paid the property tax at this stage, a large amount didn’t want to but it was taken forcibly. Murphy said he had not yet paid property tax on his new house, which he owns, but said he assumed Revenue would deduct it from his wages. He said the mass boycott of the tax had ended because people had been forced to pay due to the “draconian” powers of the Revenue, which administers the charge. People have been forced to pay, that’s the reality. I doesn’t mean we’re not still opposed to local property tax, but there is no longer a mass boycott. The former MEP insisted the campaign against water charges “is very much alive” noting that as many as 53% of people had not paid their second Irish Water bill. “The key difference is that Revenue isn’t involved. So these draconian powers don’t exist,” he added. Email “This is why Paul Murphy paid his €1,150 property tax bill ”. Feedback on “This is why Paul Murphy paid his €1,150 property tax bill ”.